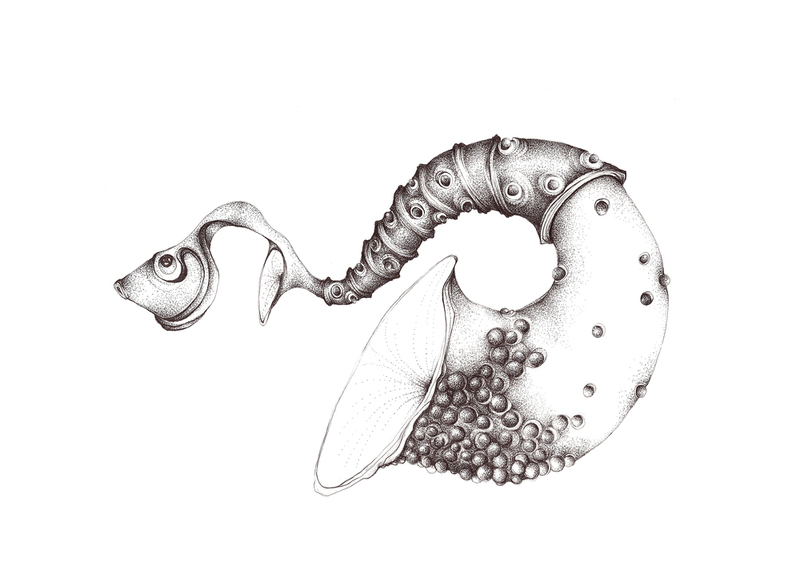 Vivarium is a series of hand drawn illustrations that portray the exploration of the imaginary by proposing near-future evolutionary life forms. The illustrations are mix reality and fiction, allowing for comparisons and trigger a change in our static ways of analyzing the world around us. The Vivarium series was exhibited at the Sheikha Manal Young Artist Award Exhibition in 2015 where it received the Second Place Award.